Hannah is a beautiful person who’s full of enthusiasm and spirit. I called her Palin for the longest time, but now I always say Hannah because it’s a pretty name for a pretty gal. She shares my science fiction passion and on Tuesdays, she posts the coolest photos and pictures. Hannah does more than muse - visit her today! Jamie is an amazing young man. Possessing a Masters in Egyptology, he also does reviews on his site and for other publications. He’s very involved in the book world and loves fantasy. Someone this talented is going to go far in life! Visit my buddy Jamie and tell him the Army is invading! Jeffrey Beesler at World of the Scribe passed this award on to me. Thanks, dude – great timing! Have an awesome weekend, everyone! Any big plans? Movies? Writing? Ninja attacks? Don't we still have N to do? ;) I am going to a town called Tanjung Malim to look for and buy, durian! Congrats on the award and to the reciprients of it. Also thanks for visitng and leaving a lovely comment. It wouldn't be much of a ninja attack if we told you about it before hand. Huge congrats with your gorgeous award!! Yay!! And look at these scrummy M blogs too! Cap'n Ninja Alex's army are ready to invade!! Yay! 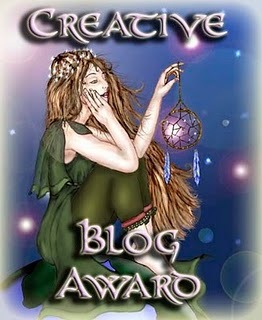 - great links - I followed both fantastic blogs. I've just got back from London and have launched head first into your book - looks like that is pretty much all I'm going to be doing this weekend as I can't put the thing down - great read so far!!! This is so nice. Congrats on the award. Thanks for the mention, Alex! You know I always got your back now, man. That's how come its easy for me to be timely on stuff like giving you awards. Congratulations on the award, Alex, and thanks for joining me, kind regards, Carole. Great post as usual Alex. Possibly a movie this weekend but no firm plans. An elementary school play this weekend. There will be hundreds of miniature ninja attacks. Weapon of choice lately? Biological.The full force sneeze in the face just as you get to eye-level to help them with something. Alex, thanks for the post, looking forward to checking out the blogs mentioned. Well done for the award, and have a great weekend! I'd like to see a movie, so I'd better start going back in your posts to check out reviews. Two great Ms! No big plans for this weekend; reckon it'll be a quiet one! I've read Hannah's blog. Nice one. Congrats on the award, yes sir, you're definitely creative. Weekend plans, yard work, writing, and spending some time with part of my family. I love meeting new bloggers!!! No plans to take over the world for me. No cool ninja fights. Maybe I'll get some writing work done? Hopefully? Dang it! I know everyone today. I like it better when I meet new bloggers. I think I'm going to do yard work this weekend. Infinitely less exciting than I'd like, but I finished Fallout 3 last night and I can no longer use it as an excuse not to clean up what winter did to my yard. With any luck, there will be ninjas in my shed. We rented a bunch of movies. Going to see Rio on MOnday cause wifey has to work. Kids are going bonkers because they want to see it but they'll just have to wait. Congrats on the award. I love Hannah's and Jamie's blogs, they seriously rock. And I love being part of the Ninja Army. I've got a surprise birthday party this weekend for a friend and I'm hoping to go see Scream 4 or Hanna. I love both of the blogs you've mentioned today. They're really great. My weekend plans currently include multiple viewings of Harry Potter and the Deathly Hallows, Part One. Alex, thanks so much for the award. It's a beautiful image. My big plans include singing today at an Alzheimer's Facility. Thanks, Alex! I hopped. I followed. My life is the richer for it! Yes, some good M's there - I hadn't discovered yet. Footie match with my youngest, pile of ironing and I HAVE to work on my current MS. I'm spending too long reading all these wonderful blogs and enjoying this challenge! Congratulations on the award, Alex and as always, thanks for the blogger links! I have no big plans for the weekend, though I'm hoping to have a nice relaxing time. I've recently decided to try the whole 'no work on weekends' thing and I'm going to see if I can stick to it! Ninja attacks - are we doing that for tomorrow, Alex? I have a ninja attack planned for later today, but I can't tell you more about it until it's done. This weekend I'm planning to veg out on Saturday and then have a major writing session on Sunday. I so want to go the movies, if it doesn't happen. I have to go by the movie theater, next week ;-D The one I love to attend is 45min from my house, across the border into VA.
My husband wants to go to Bass Pro; this would equal me dragging him to a craft store. Sometime I go and take photos inside, but I want to do some writing or go to the movies. Off to say "Hello" to the mentioned blogs. What about you...Movie man? Any plans? Congrats on the award. Have a great weekend. Lauracea, I'll be watching. As for this weekend, Rio is getting good reviews. Stephen, I might not catch it until next week either. Melissa, depends on what you're in the mood for - but I really liked Hanna. Sangu, you're an ambitious slacker - I like it! Ella, I am not a Bass Pro Shop kind of guy - I'd be bored as well. And might not see Rio until next week. congrats on the award and also to the ones receiving it from you! Great blog choices to honor today. We're at the halfway point! Congrats on the Award, Alex. And to Karen and Liz! BTW, have you had trouble commenting on Ocean Girl's blog? I can't get it to let me post a comment. Egyptology? Cool! I need to get over there more often. (and you know I love Hannah's blog!) Congrats on your award, too! Check out bluebell books, our new blogging community that promotes books..
pass them to 1 to 10 bloggers. Congratulations on your award. My weekend plans are pretty boring, as I have to work. I still haven't been able to go check out Source Code due to my schedule and I'm a little sour about that, lol. I just received an old 60s movie called "Salesman" recently and plan on watching that this weekend. I also have to watch a documentary on the making of "Casserole Club" starring Kevin from The Backstreet Boys and then write a review of it. Now with Scream 4 out, there are two movies that I have to go see at the theater...Scream 4 & The Source Code. Hopefully I can get around to it soon before the theaters stop playing them, like what happened with "Salt". I waited and waited and couldn't see it.....and to make matters worse, I had a free pass to see "Salt", so I wouldn't have even had to buy a ticket, but my schedule and limited transportation had me waiting a little too long. Now, it's on my Netflix list, lol! This weekend I'm trying to stay focused on the novel I'm writing set in the jungles of Central America. I'm on deadline and need to complete it by the end of Mar. It's hard when I also want to check out all these blogs. Nicole, I hope you find the time! Hit Source Code first. Excellent film. Kinda like I do during the weekdays. I love unemployment. Writing and a three mile walk. Then watching Sunday's called for rain from the sun porch. Congrats on the award! I'm looking forward to a busy weekend--SCBWI Writer's day and renfair!have a happy weekend! Congrats on the award!! Thanks for your support the last few days! I have got so much more out of this challenge than I could have ever imagined. You guys are all totally awesome!! A well-deserved award, sir. This weekend: movies and writing, mos def. And after being with my 7th graders on a mission trip all week: SLEEP. Dafeenah, it's all about the friendship. I've enjoyed Mithril Wisdom for awhile now -- great site! Alex, are we done yet? This challenge is harder than I thought it would be and I'm not a big fan of the second half of the alphabet, not right now anyway. Excuse my venting. I've made so many great connections - much thanks to you. It IS worth it. I think I can, I think I can. Just got back from The Kings Speech. One of the best movies I have ever seen. Hi Alex .. love the way you open the doors for us to check others' sites .. and the A - Z is being great - lots of blogging friends and lots of comments to make .. but we do get to meet like-minded people .. because we're all A - Zers ..
Robyn, you're in the home stretch - you can do it, little camper!!! Sarah, I hope to see it soon. Hilary, glad you are enjoying it!